The sixth episode of the Duke Nukem Forever podcast is all about multiplayer (glorious, glorious multiplayer.) The team talks weapons, modes, babes, customization – and much more. The sixth episode of the Duke Nukem Forever podcast is all about multiplayer (glorious, glorious multiplayer.) The team talks weapons, modes, babes, customization â€“ and much more. During the fifth episode of the Duke Nukem Forever podcast series, key members of the team sit down and talk about the different aliens you'll see in game, and how they changed over the years of development. For the fourth episode of the Duke Nukem podcast series, we head back to the team in Plano, Texas to talk about the world of Duke Nukem Forever, and what the world is like where Duke is the most famous and revered man - well, anywhere. Duke saved the world once before â€“ and suffice it to say, he's well equipped to do it a second time. For our third Duke Nukem Forever podcast, we head to Gearbox to talk with the team about the toys Duke has to destroy the alien menace. 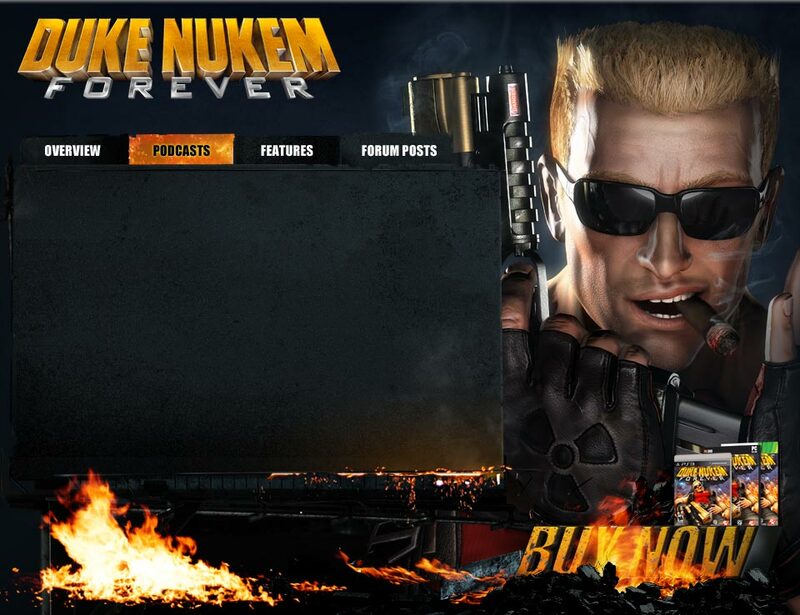 Duke Nukem Forever has a very storied history (and that's putting it mildly). In the second episode of the Duke Nukem Forever podcast series, we sit down with some team members from Gearbox and Triptych to talk about the making of DNF. To some, the name 'Duke Nukem' might be a new one - and it's time to give you a lesson on why that name is one you should never forget, and why Duke Nukem is awesome.